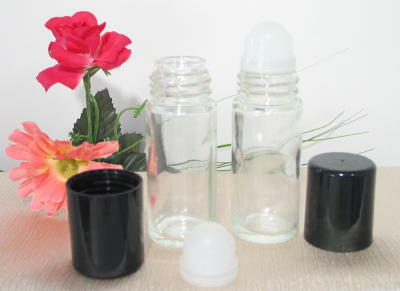 These 1 fl oz (30 ml) Glass Roll-on applicator bottle has a Large roller ball. The bottle is 1 1/4" in diameter and with cap is 3 7/8" tall. FYI - We are currently looking for a supplier for the 1oz Blue & Green Glass roll-on bottles - WHEN we find another supply it will be offered here.